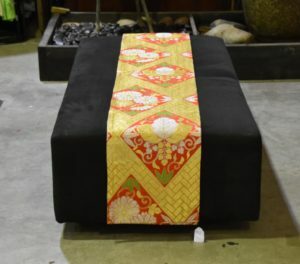 This is an Obi that is tied around the traditional Japanese Kimono. 300 mm’s wide and 4000 mm’s long. In good condition. SKU: 13668. Categories: New Arrivals, Obi and Textiles, Textiles.